We are glad to announce the recent update of our dataset, in which we offer data on the positions and preferences of political parties at the regional level based on quantitative content analysis of parties' electoral manifestos. We have incorporated new cases in Spain (for example, Podemos and Ciudadanos in all the regions where these new challengers have obtained parliamentary representation; or the latest elections in the Basque Country, Galicia and Catalonia held in 2016 and 2017). In addition, we have extended the British case to cover all regional elections in Scotland and Wales between 1999 and 2016. Furthermore, we are releasing data from a new country: Italy. We have coded the electoral manifestos of the main political parties in South Tyrol, Trentino, Veneto and Aosta Valley, and of Five Star Movement in all the Italian regions. You can download the dataset here. 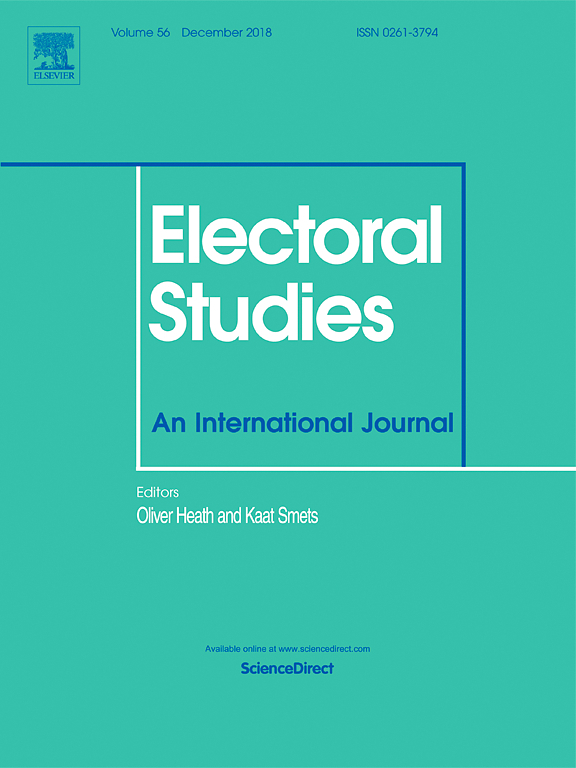 In this article, recently published in West European Politics, Matthias Scantamburlo, Sonia Alonso and Braulio Gómez use data from the Regional Manifestos Project to analyse how the emergence and electoral success of challenger parties have transformed regional party competition in Italy, Spain and United Kingdom. Laura Cabeza, member of our research team, has been appointed as a Max Weber Fellow for the academic year 2018/2019 at the European University Institute in Florence. She plans to elaborate a research grant proposal to extend internationally our project by incorporating new countries in the RMP dataset. In this article published in Electoral Studies, Laura Cabeza analyses whether citizens decide their vote in three different second-order elections (i.e., local, regional and European) driven by level-specific considerations, and when are they more likely to do so. 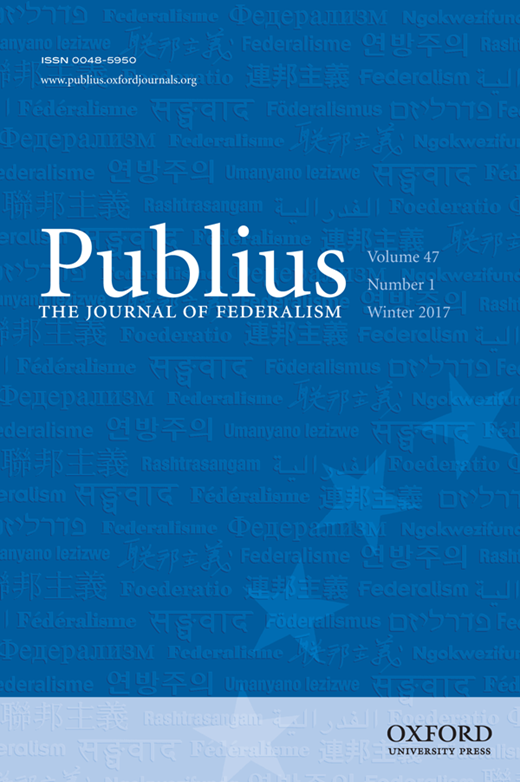 With data from the Regional Manifestos Project, this article published in Publius: The Journal of Federalism demonstrates that regional branches of national parties do not limit regional election campaigns to regional issues. On the contrary, they nationalize regional elections (i.e., emphasize national-level issues in regional campaigns) as an electoral strategy to win votes. We are pleased to announce that two doctoral theses using the Regional Manifestos Project dataset have been successfully defended within our project. 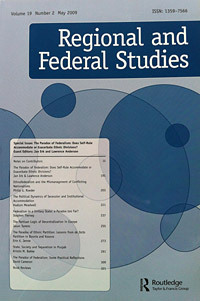 Laura Cabeza defended her dissertation entitled 'Party Strategies and Voting Behaviour in Multi-level States' in 2007 at the University of Cologne. Matthias Scantamburlo obtained his PhD at the University of Innsbruck in 2016 with his thesis entitled 'Etnhoregionalist Parties and Multidimensional Competition: an Analysis of Party Strategies in South Tirol and the Basque Country'. 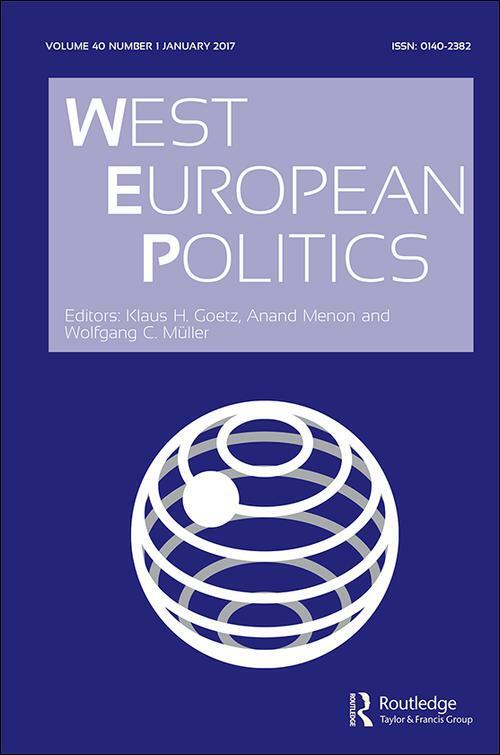 The last Special Issue of Party Politics, edited by Anwen Elias, Edina Szöcsik and Christina Zuber, includes our article "Parties' electoral strategies in a two-dimensional political space: Evidence from Spain and Great Britain". Gómez, B., L. Cabeza and S. Alonso (2014): “Los partidos estatales ante el laberinto autonómico”, in Pallarés, F. (ed.) Elecciones autonómicas 2009-2012. Madrid: CIS, 75-109. Gómez, B. and L. Cabeza (2015) “Els programes electorals en les eleccions catalanes del 25 de noviembre del 2012”, in Pont Sorribes, C. and A. Capdevila Gómez (eds.) Del carrer a les urnes: el dret a decidir, en campanya. Barcelona: Documenta Universitaria, 71-96. In this article, we disentangle the issues that regionalist parties emphasize in their manifestos and show the different ways in which a regionalist party can present its nationalist credentials according to the strategic needs imposed by each particular context. Against one stream of literature that considers regionalist parties as single-issue or niche parties, we use the RMP data to demonstrate that far from limiting their issue appeal to just one dimension of competition, regionalist parties have a highly diversified issue portfolio. 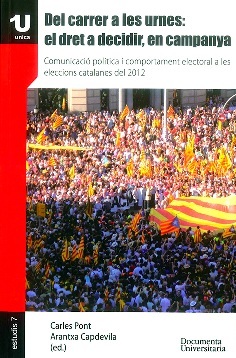 We have collaborated with a chapter about Spain in the book Regional and National Elections in Western Europe. 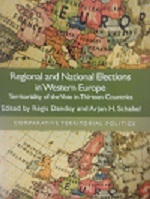 Edited by Régis Dandoy and Arjan Schakel, this book brings together leading experts on elections who analyze differences between regional and national electoral outcomes in thirteen West European countries between 1945 and 2011. We have published two electoral reports about the results of the latest Basque and Andalusian Elections. We use data from the Regional Manifestos Project in both of them. We have updated the dataset to include the last Galician parliamentary election (21 October 2012), as well as some of the Spanish manifestos from different regions of the 2003-2007 period. You can download the dataset by clicking here. With recent data from the Center for Sociological Research (CIS) we have made a graph on how citizens place the Spanish political parties on the right-left scale. Differences by region are striking. Have a look here. In our latest post published by Agenda Pública we wonder why political parties write such long electoral manifestos. Read it here. We have analized the speeches of the parlamientary debate on the State of the Nation held on february. Click here to see the different parties' priorities on a graph. FInd out if PP and PSOE defend the same position in all Spain or, by contrast, they change their discourses depending on the region in which they compite, in the last Zoom Político of Fundación Alternativas. In this article we present the Regional Manifestos Project and our methodology for measuring the position of political parties along the territorial dimension (centre–periphery) based on quantitative content analysis of parties' election programs. People's Party (PP) often presents itself as a party that defends the same in all the Spanish regions. However, our data point in the opposite direction. Find it out in our post for Agenda Pública here. We publish today a new post in Agenda Pública in which we analyse the differences between the electoral programs of CiU and ERC. You can read it here. The manifestos of the last Basque elections (21 October 2012) and Catalan elections (25 November 2012) have been added to the dataset. The parties included are PP, PSOE, IU, PNV and Bildu, for the Basque elections, and PP, PSC, CiU, ICV-EUiA, ERC, Ciutadans and CUP, for the Catalan elections. You can download the data by clicking here: dataset download. Latest post in our blog on the regional elections in Catalonia. We have uploaded a comparative table that shows the emphasis that manifestos give to different policy fields and issues. Many parties to choose from... and they are not all the same. You can see it here. Today we compare in eldiario.es the Catalonia that CiU wants and the Scotland that the Scottish National Party proposes. You can read the post here. As we did before during the Basque regional elections, we have followed the Catalan regional elections in our blog through a detailed analysis of the content of the competing parties' manifestos. Our first post on the Catalan elections compares CiU's manifestos in 2010 and 2012. Would you like to know whether there are relevant positional changes in this two-year period? Visit our blog clicking here. An analysis of the differences between the electoral programs of the main Basque political parties and the messages that their candidates send in Twitter in eldiario.es.